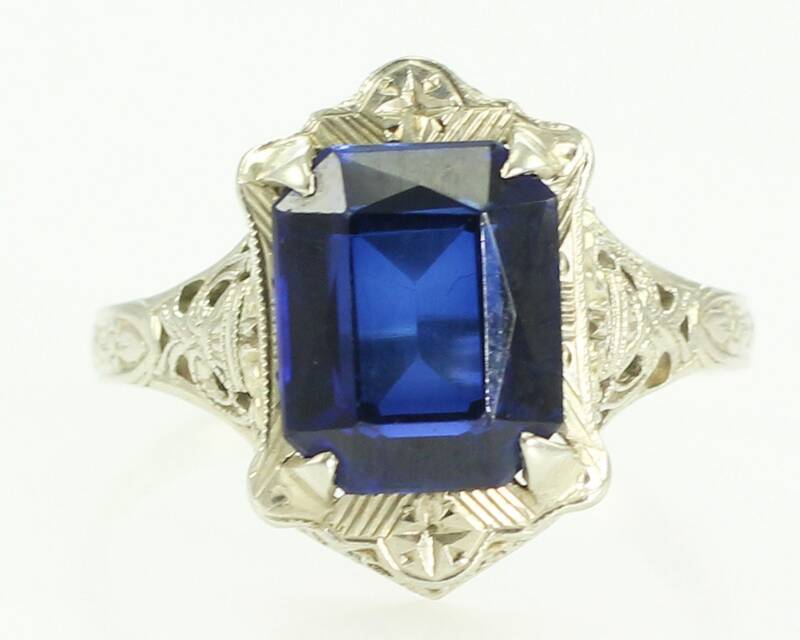 Art Deco 14K White Gold Filigree Ring with Royal Blue Lab Created Sapphire. 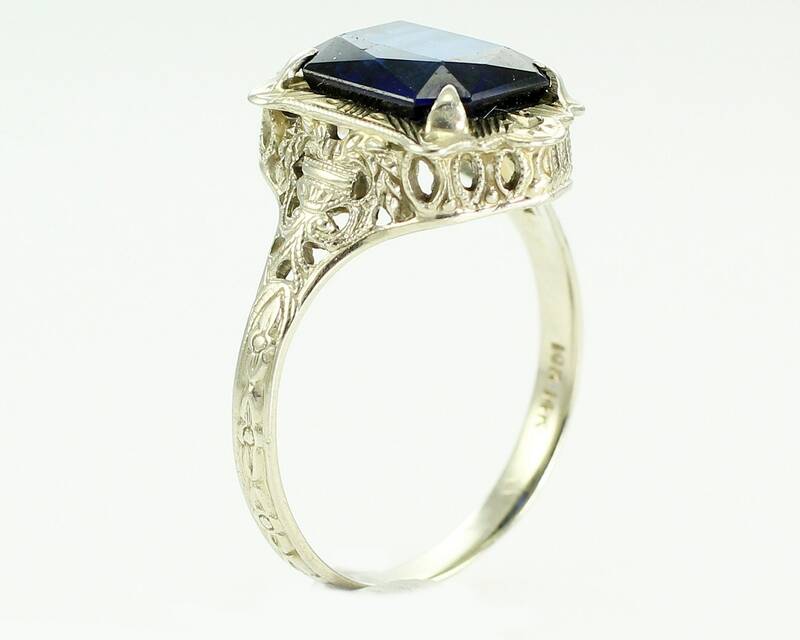 Made in the 1910s, this ring features a scissor-cut bright blue synthetic sapphire atop a raised filigree gallery. The shank is embossed floral decoration. The stone measures 10 mm x 8.25 mm x 4.9 mm and has an estimated weight of 4 carats. The ring measures 15.9 mm wide at the head, which stands 6 mm high. Shank tapers to 2.3 mm at the reverse. 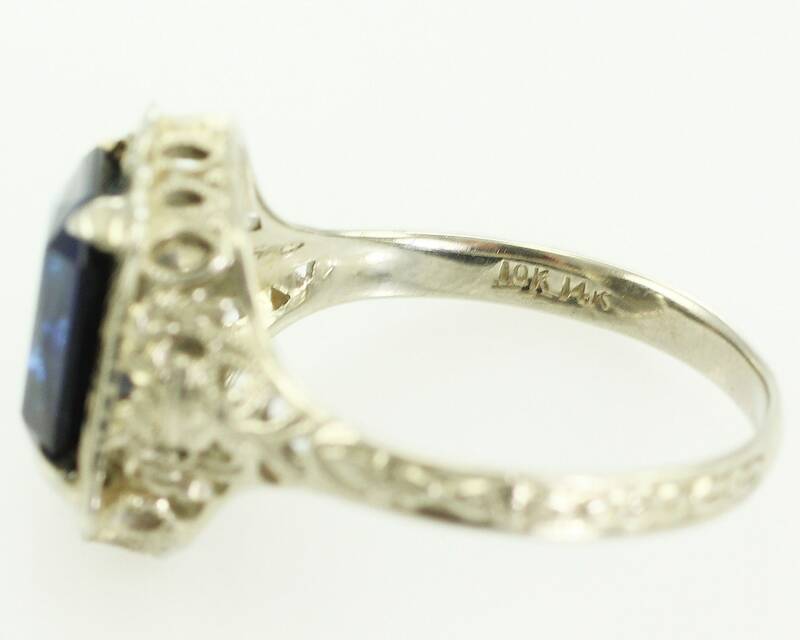 The ring is a size 8 1/4 size and is stamped 10K and 14K on the inside of the shank. 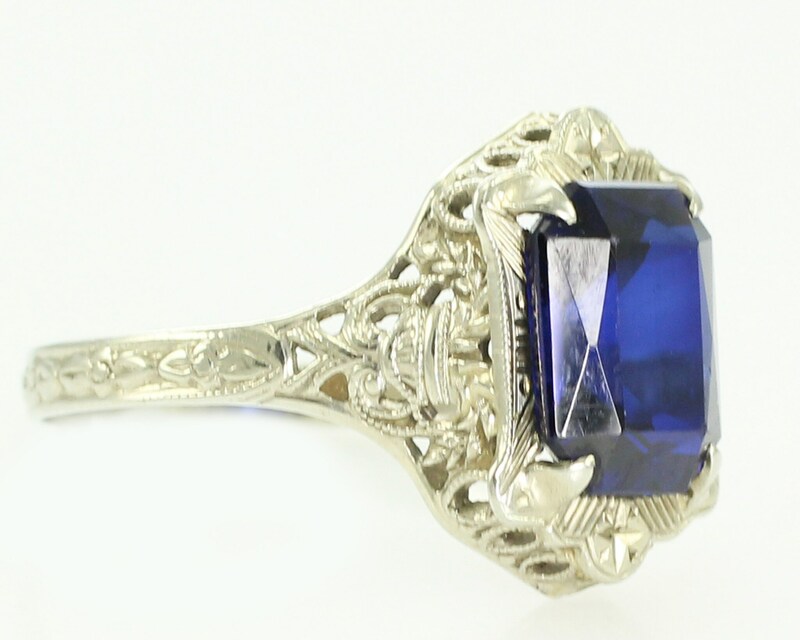 The shank and gallery are made of 14K white gold, while the mounting plate and prongs are made of 10K white gold. 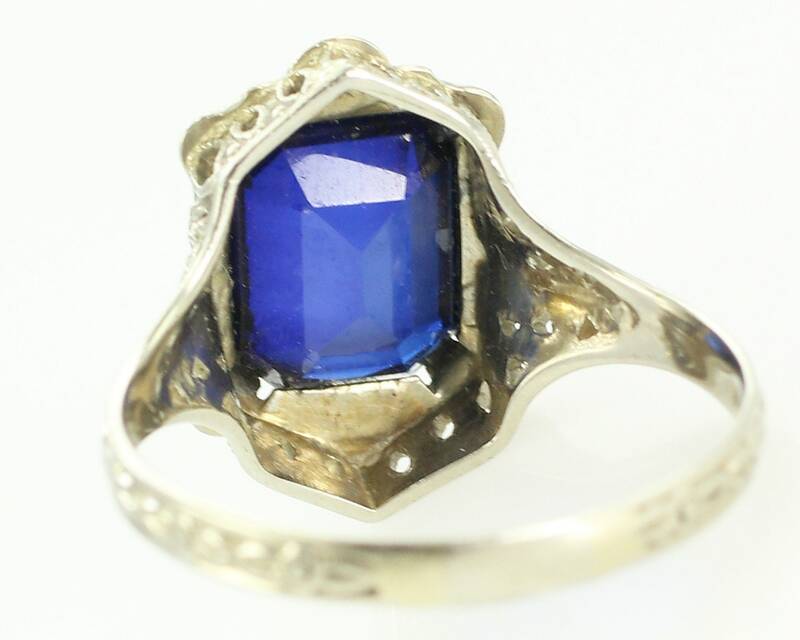 In very good vintage condition, with very minor facet scratches to the stone and no other damage of any sort noted. MEASUREMENTS: The ring is 15.9 mm wide at the head and is 6 mm high.